Advocates of tenure elongation for All Progressives Congress (APC) National Chairman John Odigie-Oyegun and National Working Committee (NWC) members suffered a major setback yesterday. 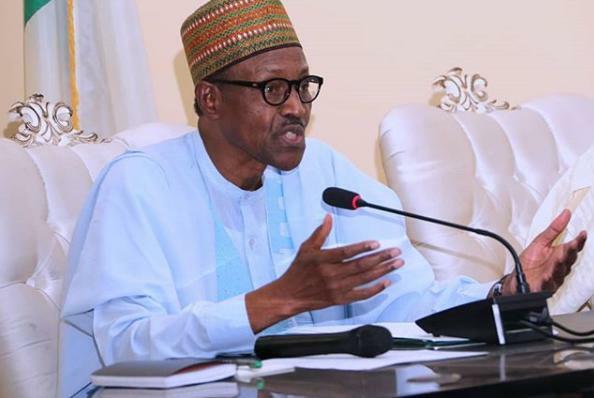 President Muhammadu Buhari said the party’s constitution and the Nigerian constitution must be respected. 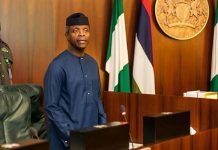 It was also a day of legal arguments among Vice President Yemi Osinbajo, Ondo State Governor Rotimi Akeredolu and National Legal Adviser Muiz Banire, all of them Senior Advocates of Nigeria. 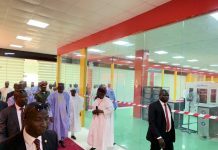 At the end of it all, many pro-tenure elongation governors were speechless at the Conference Hall of the APC National Secretariat, it was learnt. After the fireworks, the National Executive Committee (NEC) raised a Technical Committee to work out modalities for the party’s congresses and the National Convention . The President said holding congresses and an elective National Convention was the lawful thing to do. Oyegun and all NWC members could be re-elected, he was quoted as saying. According to sources at the meeting, the NWC put only two items on the agenda, namely: the report of the APC Restructuring Committee headed by Kaduna State Governor Nasir El-Rufai and amendments to the APC’s Constitution. Unknown to Oyegun, the President had another matter, which he did not discuss with his aides. Shortly after the opening prayer by Lagos State APC Chairman Henry Ajomale, Oyegun gave a summary of expected amendments to the party’s Constitution to accommodate provision for a caretaker management by the NWC for one year. He said the proposal might be ratified at the National Convention in June if approved by the NEC. But Buhari dropped the bombshell by opposing tenure elongation for the APC National Chairman and the NWC. 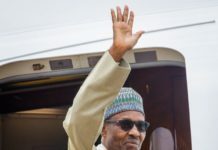 There was pin-drop silence as Buhari spoke, saying tenure extension under any guise was a violation of both the 1999 Constitution and the APC’s Constitution. The President diplomatically added that members of the National Working Committee were free to “discuss and debate” his proposal. That sparked the debate opened by Akeredolu who argued for allowing tenure extension for Oyegun and the others. A source at the meeting said: “Akeredolu told the meeting that the main opposition Peoples Democratic Party(PDP) and other parties could not take APC to court over tenure elongation because whatever is done by NEC is an internal affairs of the party. Banire joined Akeredolu, stressing that NEC could make provision for a Caretaker Committee to manage the affairs of the party. The source quoted Banire as saying: “It is true that Article 13 of APC Constitution says that we should have new executives every four years, but NEC can propose a National Caretaker Committee for the next one year. Prof. Osinbajo warned the party against taking unnecessary risks on the Caretaker Committee because it could invalidate all nominations by the APC for the 2019 general elections at all levels. Another source quoted Osinbajo as saying: “I agree with all your observations that raising a Caretaker Committee is an internal affair of the APC but none of us is a judge here. The judges have final say on matters before them, not we who are the lawyers. “I am a SAN, you are a SAN but as far the matters in court are concerned, they can go either way. These cases before the primaries may linger beyond our primaries. “Once a case is in a court, it is no longer an internal affair of the party. The outcome of the cases in court could affect all our candidates for 2019 poll including the presidential candidate. 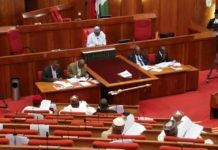 Osinbajo cited a case of a member of the APC in the Kano State House of Assembly who was nominated by a Caretaker Committee. He said: “The APC laboured and won the election but when the case got to the Supreme Court, the election was nullified because he was nominated by a Caretaker Committee, which was illegal. Overwhelmed by Osinbajo’s “brilliant” submission, governors and members of NEC clapped thunderously, such that Oyegun had to call the session back to order, the source said. 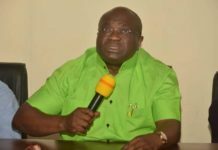 A governor, who preferred not to be named, said: “Many governors and leaders, who wanted tenure elongation, dropped their position instantly. “We did not pay attention to the implications of violating the APC Constitution. Our intention was just to avoid going into intra-party elections which can divide us,” a source said. House of Representatives Chief Whip Alhassan Ado Doguwa faulted Akeredolu for challenging the cautionary opinion of the President. Doguwa was quoted as saying: “I have been in politics for 25 years; I have not seen where the President will talk and there will be a contrary opinion. Akeredolu reportedly hit back at Doguwa, saying: “The President did not ask you to shield him but he said we should debate his suggestion/ opinion. Some of the NEC members jeered at Doguwa for his defence of the President. After the tirades, Senate Deputy Leader Bala Ibn Na’Allah moved a motion asking NEC to mandate the NWC to “set up a technical committee to work out the modalities for congresses and the National Convention between Tuesday and Wednesday”. The party may hold another NEC meeting to ratify the modalities for congresses and the National Convention. To douse the tension which accompanied his address, the President offered some words of encouragement to Oyegun and the NWC members. He said: “We still have time between now and June 13 when your tenure expires. You can win again because the APC Constitution has provided room for another term in office for you. There was visible disappointment as some of the governors were said to have been disappointed by the outcome of the meeting. A North-West governor was just gazing at the Vice President as he marshaled his legal argument, another source said. A Southern governor left before the end of session. A pro-tenure extension governor who was billed to inaugurate the APC Press Centre, was rattled; he abandoned the assignment.